The process of human development was imposing the homo sapiens a multitude of problems whose solutions were improving their living conditions on the road to sustainability on the planet. This used the resources that nature could make available to the conservation of the species that will simply just had to take it and use it. Thus the man protected his tribal group of changes in time using the benefits of forests and caves, mineral resources naturally and the remains of shells to use as vases and simple tools. The animal kingdom took the skins to keep warm and the sun, while the flesh served as food and making dissimilar activities that allowed these rustic instruments. But the increased use that gave the man of nature was in the plant kingdom as it took the plants that served as food for the construction of their houses and ships, to soothe the pains of disease, for use in their makeup for magic rituals - religious and also became aware of the aesthetic values ​​of this world. In a later stage in which man learned to domesticate plants, proceeded to classify and select them for different uses. In that cognitive development was establishing the relationship between the nutritional value, cosmetic, decorative and therapeutic plant that immense world infinite in its variety and its use. The purpose of this section is to present three considerations with plants commonly used in the culinary arts, which are handy in any kitchen or just modest decorating the garden or balcony and can solve or prevent a disease in any group member family also be used in skin care and hair. Among the plants are exposed to these features follows. 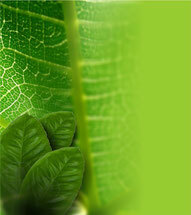 For more information visit Herbs - Medicinal plants.